This year the poet Greta Bellamacina and the artist and poet Robert Montgomery founded New River Press. Based in Fitzrovia and taking it’s cue from writer-lead presses like Virginia and Leonard Woolf’s Hogarth Press, New River Press is the first pure poetry press to be founded in London for many decades. 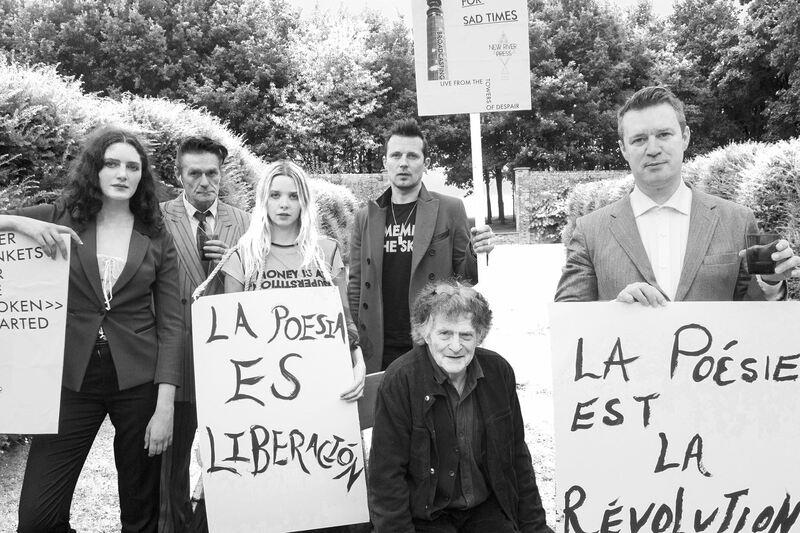 Founded to give a new platform to “page poetry” in contrast to the current vogue for spoken word, and to poets whose work is perhaps too political for the traditional mainstream poetry houses, to date the press has published seven books including the latest collections by Heathcote Williams and Niall McDevitt. Expect readings from Robert Montgomery, Greta Bellamacina, Niall McDevitt, Rosalind Jana, Zimon Drake and perhaps the legend that is Heathcote Williams. New River Press has reinvented the spirit of British Beat poetry. You are promised a wide-awake evening of catastrophic beauty. This entry was posted on 24 November, 2016 in homepage and tagged Greta Bellamacina, Heathcote Williams, New River Press, Niall McDevitt, robert montgomery, Rosalind Jana, The Society Club, Zimon Drake. Bookmark the permalink.